We have had people ask us before, does a programmable thermostat really save money? How does it actually save money? Is it just going to make my house uncomfortable? We tried to answer these questions in a simple infographic. 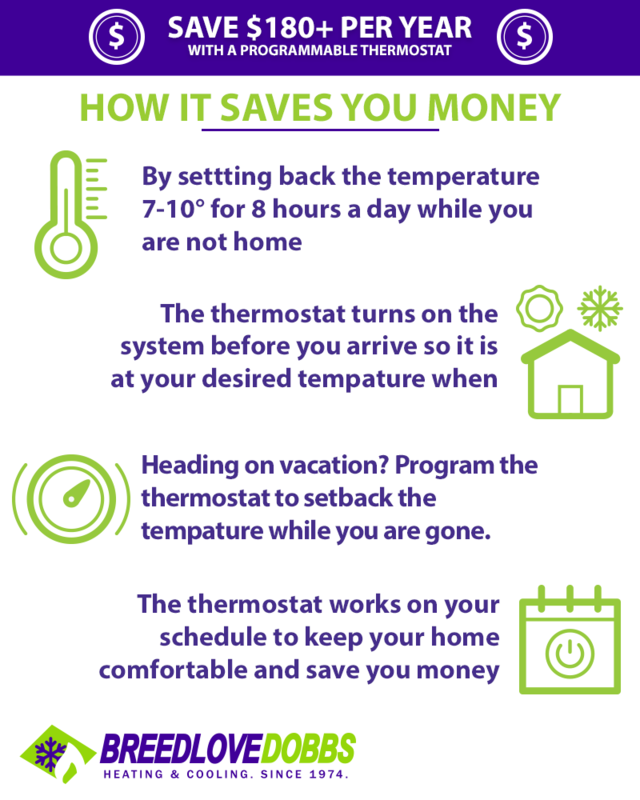 If it is time for your home to upgrade to a programmable thermostat give us a call or fill out the form today.